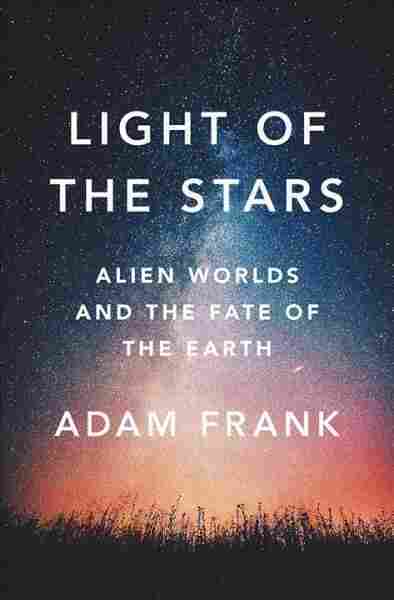 'Light Of The Stars' Looks To Other Planets To Illuminate Climate Change On Earth Adam Frank's valuable new book looks at the history of our search for other planets — and uses lessons drawn from outer space to shed light on the effect humans are having on our own planet. In 1960, a graduate student at Yerkes Observatory named Carl Sagan had a problem: The temperature on the planet Venus was too high. For decades, scientists had thought that Venus was covered in clouds because it was a watery world, possibly teeming with life, a slightly hotter version of Earth. Venus is nearly the same size as Earth, and a bit closer to the Sun, so it seemed reasonable to think it was just a somewhat balmier version of our own world. But in 1956, a team of astronomers attempted to take the planet's temperature by pointing an enormous radio dish at it — and the results suggested that Venus was far beyond balmy, in fact, it was over 600 degrees Fahrenheit. There was no known way that a little extra sunlight could make Venus that much hotter than Earth, and many planetary scientists dismissed the measurement as a mistake. But Sagan wanted to see if there was some way that the new result could be right. Trawling through the observatory library, he finally hit upon something powerful enough to cook the surface of Venus: the greenhouse effect. Sagan knew the Venusian atmosphere was mostly carbon dioxide (CO2), but nobody had bothered to incorporate the greenhouse effect of CO2 into their models of the planet. Working out those details for the first time, Sagan found that a surface temperature of 600 degrees, rather than being implausibly high, was just about what we should expect. Sagan's discovery didn't just solve the puzzle of Venus — it was also a key step in understanding how the greenhouse effect worked here on Earth. It helped us, in the words of astrophysicist Adam Frank, learn to "think like a planet." And it is these kinds of lessons about our own world, drawn from our study of others, that are the subject of Frank's intriguing new book Light of the Stars. Specifically, Frank's book is an extended argument that alien planets — and the possibility of alien civilizations — can shed new light on the effect that we're having on our own planet. Is Humanity Unusual In The Cosmos? Much of the book is devoted to the relevant history, like the early days of the Search for Extraterrestrial Intelligence program, the pioneers of climate science, and the fleet of robotic probes sent across the solar system in the past 60 years. And there's also the river of exoplanet discoveries, which started as a trickle 20 years ago and grew to a flood with systematic searches that found thousands of planets outside of our solar system in just a few years. Frank's recounting of these stories is clear and straightforward, if occasionally somewhat dry. And there are some truly surprising nuggets of history, like the tale of Camp Century, a nuclear-powered scientific base buried deep in the Greenland ice sheet, built by the US Army (who were perhaps taking the idea of a Cold War just a bit too literally). But it's in the last portion of this book that it really shines. With the preliminary explanations and historical background out of the way, Frank delivers on the promise of his subtitle: how the study of alien worlds can give us insight into the fate of the Earth. Specifically, he asks whether all civilizations on all planets inevitably have to deal with some form of climate change. Frank admits the "audacity and possible absurdity" in talking about the impact that wholly theoretical alien civilizations would have on the climates of their home planets, but he plunges in anyhow. The scientific speculation that follows is intellectually bracing and well-founded — and ultimately works because Frank is really looking for a new way to contextualize climate change here on Earth. Protesting that alien civilizations might be strange beyond our capacity to imagine or theorize is beside the point. Frank is ostensibly talking about aliens, but he's really talking about us. Frank is ostensibly talking about aliens, but he's really talking about us. It seems somewhat facile to claim that a new myth can solve the wicked geopolitical problems at the heart of climate change, but storytelling is our oldest and most powerful technology. One story, told at the right time, can tear down a wall, build a city, or inspire a revolution. Frank's book isn't the one story about climate change — but it's a good story, and a valuable perspective on the most important problem of our time. Adam Becker is an author and astrophysicist. His latest book, What Is Real? is about the unfinished quest for the meaning of quantum physics.